A collective of young women in Singapore work hard to break stereotypes and reinstate women's voices in public spaces and discourses. Speaking about their work with Beyond The Hijab, the collective of young women, talk about their collective motivations, accomplishments and journey so far. We’re a collective of women driven to creating a community where other Singaporean Muslim women can gather together in a safe space to share their stories. We all come from pretty diverse backgrounds, education and are working in different fields, but we all feel strongly that women should be able to have their own voices be heard in a climate and culture where male voices often take priority even on issues that pertain to women. 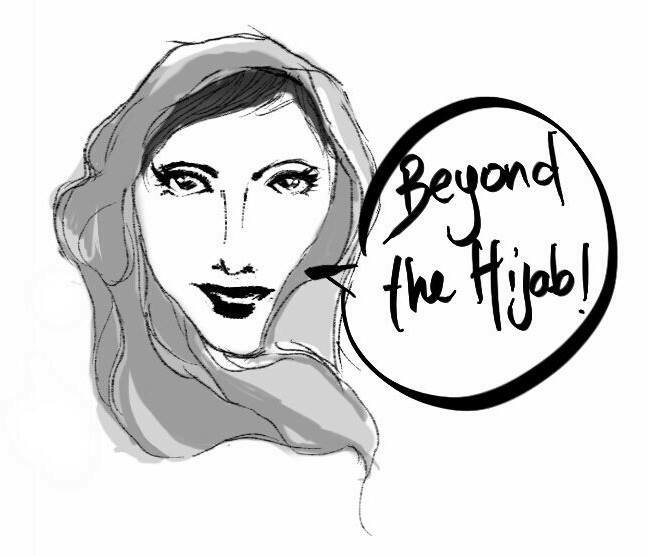 What is Beyond the Hijab all about? When and how did it all begin? 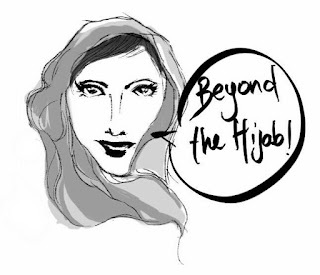 "Beyond the Hijab" was first conceptualised by 4 friends. We have since grown to a group of 6! We wanted to explore the intersectionality of being a Muslim, a Singaporean and a women and create awareness about the unique experiences we face. We wanted to create a platform where Muslim women in Singapore would be able to speak and express their mind, free from the stereotype that society projects onto them - which led to the creation of this blog. That is also mainly the reason we chose the name BEYOND the hijab because we are tired of the hijab seemingly being the only issue people talk about when it comes to Muslim women. Could you talk a bit about the work that you do at BTH? What are some of your key activities? We are centred mainly on providing a safe space for women to share their experiences and thoughts pertaining to issues that affect them. The range of topics are wide since of course, Muslim women have a wide range of issues that they would want to talk about whether it's dealing with identity, negotiating supposed tensions between religion and sexuality, sexual health issues, issues of marginalisation or the current experience of someone about to convert. We’ve recently put out a couple of series, the first on the issue of female genital cutting in Singapore, which drew a lot of positive and empathic reaction and the most recent series was about questions Muslim women get asked often. I guess you could say our key activity is consciousness-raising, to the general public, but mainly with women in the Muslim community. I think a challenge is really starting the conversation in a more public space, out in the open. It’s not that women do not talk about these issues that we see in the blog, it’s just that they have often been isolated to the domestic or personal sphere. This phenomenon isn’t really anything new, when we simply look to how much of womens’ voices are marginalised, how in the past one has to look to personal diaries to find the voices of women that were so absent in the main texts of history. Till now it doesn’t really feel natural to think that we can talk openly about things like our concerns or doubts or fears when it comes to issues like sexual health, sexuality, the role of women in the family, our responsibilities as wives or children or simply our opinions regarding certain things. So frankly a lot of how we break through that is simply to throw out what we want to say out in the open. And we’ve seen how simply having a person speak frankly about what she thinks or what she’s afraid of; simply that statement is enough of an act to encourage other women to speak as well. They don’t have to agree with each other but at least the conversation has begun and it’s a conversation that is worthy of happening in the public domain so that our opinions and concerns can be considered in the realm of opinion. It’s touching to see how connected women feel to each other once we share our stories, to be able to say to each other “that’s how I feel too,” “thank you for writing this,” or even “I might not agree with all of this but I’m glad you brought it up.” There is something radical in being able to connect with each other on a very personal level because feeling isolated and feeling lonely with your feelings; these are actually pretty political things! There’s a reason why your concerns are not given precedence, and the reason is because women’s voices are simply not taken as important even in issues that directly affect them. One need only see how conversations on the hijab in Singapore is dominated by male community leaders who can’t possibly fully understand or represent the experiences of women. It’s pretty absurd. So being able to make women feel like they are not alone, that their voices are important and deserving of fair consideration — these are important realisations that keep us going. The recent increased attention to the series were definitely an encouragement, especially with the theme of female genital cutting which is something that is pretty taboo to bring out into the open since it’s quite a sensitive issue in Singapore. As aforementioned, success is best measured through how women can feel safe enough to express their opinion, own it and connect with each other about such issues, issues that might have been relegated to the sidelines simply because they weren’t considered important enough. We hope more of this enthusiasm can be generated even if it’s in this small space. As long as this space exists, and its maintained, and people know there is somewhere where they can speak, then that is a good start. We’re really hoping to keep up the current momentum and have more women share their opinions and experiences, about things that we ourselves might be oblivious to. We’re aware that there a host of experiences that we are not privy too, for example, what is it like living as someone who belongs to a denomination of Islam that isn’t openly accepted or even treated with a measure of contempt? What is it like holding the identity of Muslim and also as a minority within the community, such as being Indian Muslim? What is it like being queer in a community that can at times be virulently homophobic? What are some experiences of marginalisation that you experience, how can the community be more inclusive. We hope that through sharing experiences we can be more mindful and compassionate with each other and really work to being more inclusive to the people in the community.